Recently there has been a mass influx of documentaries on Netflix focused on problem kids: Killer Kids, They Call Us Monsters, and The Bad Kids. 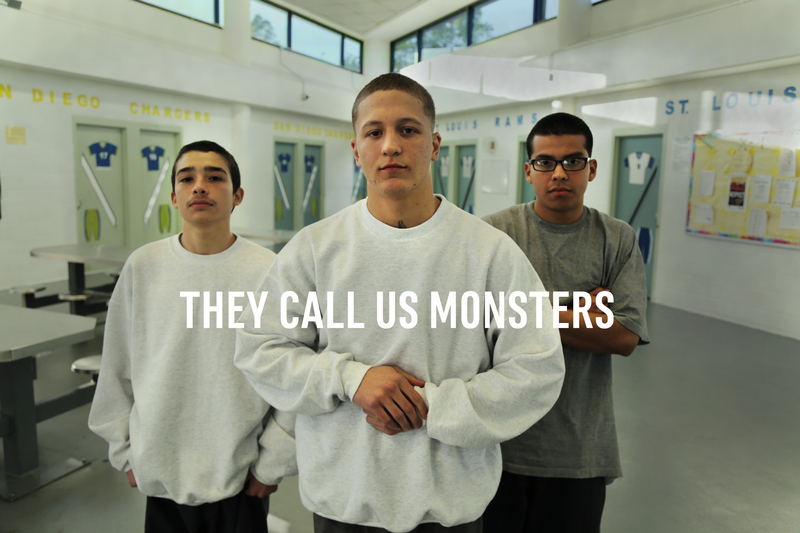 They Call Us Monsters follows three kids, Antonio (16), Juan (14), and Jarad (17), facing life in prison for violent crimes. The kids are enrolled in a 20-week writing class while their trials play out around their classes and work. Since in California violent offenders from 14-17 can be sentenced as adults, they spend their time in maximum security waiting for their fates to be handed out to them. This documentary creates a relationship between the kids and their writing teacher, where they are taken seriously and given responsibilities – something society has assumed they cannot handle. Once the kids have written their film script, they get a chance to film it in the confines of the juvenile centre. It is both heartwarming and heartbreaking. Their fates are shown at the end and you’ll never see it coming. Featured image courtesy They Call Us Monsters.